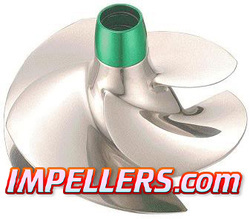 ​Sea Doo boat impeller by Solas will improve performance on Jetboat. All Solas SeaDoo boat impellers are made of stainless steel. The Solas Sea Doo boat impeller comes in 4 or 3 blades. We carry Solas SeaDoo jetboat impellers for BRP Sportster Speedster Challenger Islandia and Explorer. 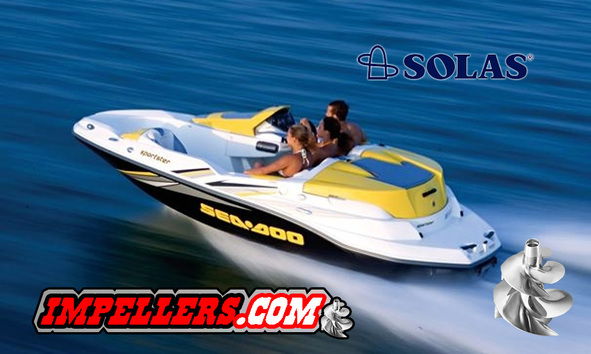 Solas Sportboat Sea Doo Boat impellers that are available are Concord and X series. Note: If you need pump oil, seal or impeller tool. Remember: WE Can REPAIR/REBUILD Impellers to back to Stock and Polish them. We also can re-pitch impellers for Custom applications if Needed. ABC series Boat Impeller SD-SC-B. Fits Sea Doo Speedster 94-95 Left Side engine. ​Blades have super-progressive pitch and minimal overlap for hard acceleration throughout the powerband and increased top-end speed. You can't beat the performance or the price. Solas MC-CD-22/39 Mercury Impeller for better thrust and superior overall performance. Fits Sea Doo's with Mercury motors Challenger X 04-05, Challenger 2000 00-05, Challenger 1800 00-05, Islandia 01-05, Speedster 00-02, Speedster SK 00, Speedster 160 04, Sportster 1800 00, Utopia 185 01-05, Utopia 205 02-05,. Mercury M2 240hp-210hp jet drive. 877326T for 184mm pumps. NOTE: For Shaft holder tool use #19-2011.